2018-08-10 - Was Amuriat pushed to fire Muntu loyalists? 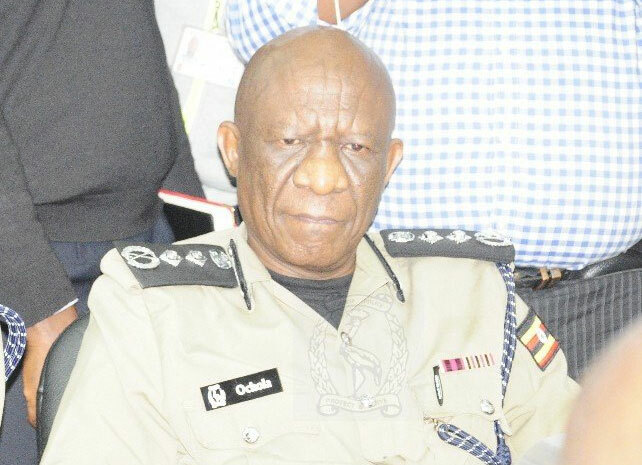 The inspector general of police (IGP) Martin Okoth Ochola has condemned the torturing of arrested suspects by security officers, saying it's against the professional ethics of the force. The police boss said no police officer will be tolerated if they are found guilty of having tortured suspects. "I have been trained in CID [criminal investigations] for over 10 years, I have worked in police for 30 years [and] I have never tortured anyone. So why should a police officer torture someone? And mark you; the confession obtained through torturing is inadmissible in court," Ochola said. 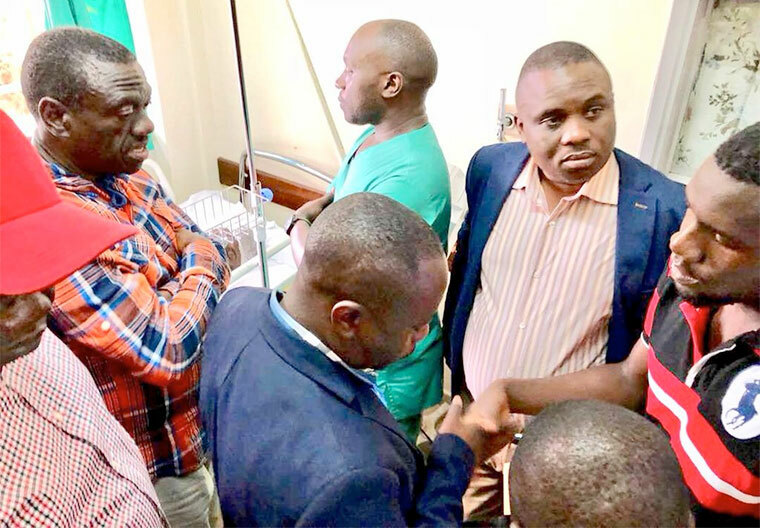 Although Ochola refused to directly comment on allegations of torture of recently arrested suspects in Arua, his comments come after images emerged on social media of Mityana municipality MP Francis Zaake appearing to have been tortured while in detention following his arrest on Monday this week. Zaake alongside other MPs and over 30 civilians were arrested by security officers on allegations of stoning the presidential motorcade in Arua on Monday. Zaake is currently admitted in Lubaga hospital on life support. His is all bruised and swollen bearing hallmarks of torture. Zaake is feeding through tubes and supported by a nebulizer to breathe. Although no images of Kyadondo East MP Robert Kyagulanyi aka Bobi Wine have been released since his arrest in Arua as well, his lawyers, wife and the officers of the Uganda Human Rights Commission, who met him at Makindye military barracks on Friday, said that he was severely tortured and is in great pain. It's still unclear which security agency tortured the Arua suspects as they were arrested by presidential guards, Special Forces Command (SFC) and dumped at police stations. The former inspector general of police, Gen Kale Kayihura is being handled in line with military procedures, prime minister Ruhakana Rugunda has said. 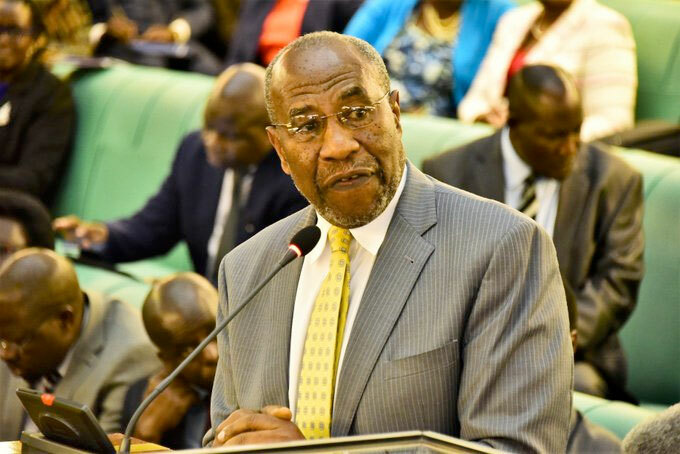 Rugunda was responding to a question raised by Kawempe North member of parliament, Latif Ssebaggala during the prime minister's question time on when government plans to present Kayihura before court. "Is a very senior officer of the UPDF and is being handled in accordance with laid down procedures of handling such an officer," said Rugunda. The former police chief hasn't appeared in court since his arrest of June 13 and subsequent detention at Makindye Military barracks. Kayihura was picked up together with several police officers who worked with him during his tenure as IGP. 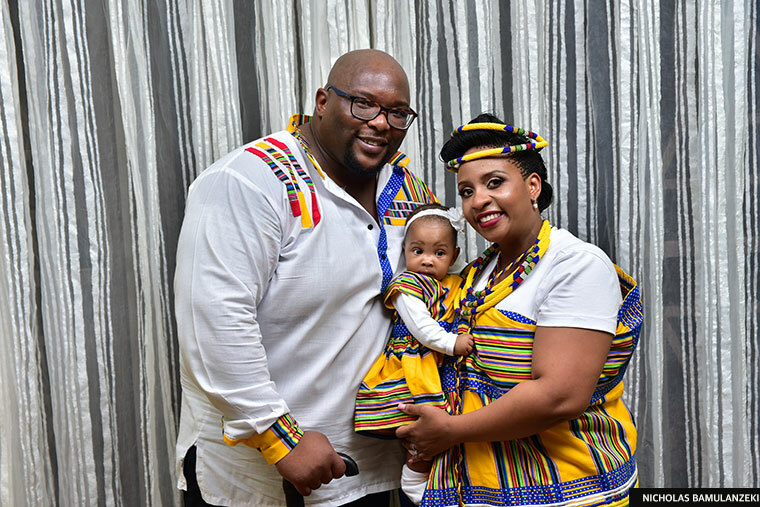 On the face of it, this was a traditional marriage (kuhingira) between former prime minister John Patrick Amama Mbabazi’s niece Bridget Birungi Rwakairu and Andile Ramaphosa, son of South African president Cyril Ramaphosa. But away from public view, this union offered another political opportunity to advance efforts to restore a political marriage through which Uganda’s leadership once enjoyed unquestioned say over government. It is said that Bridget and Andile, quite unwittingly, offered President Museveni a way to reach out to Mbabazi, his former ally, long-time comrade in arms and enforcer-in-chief. 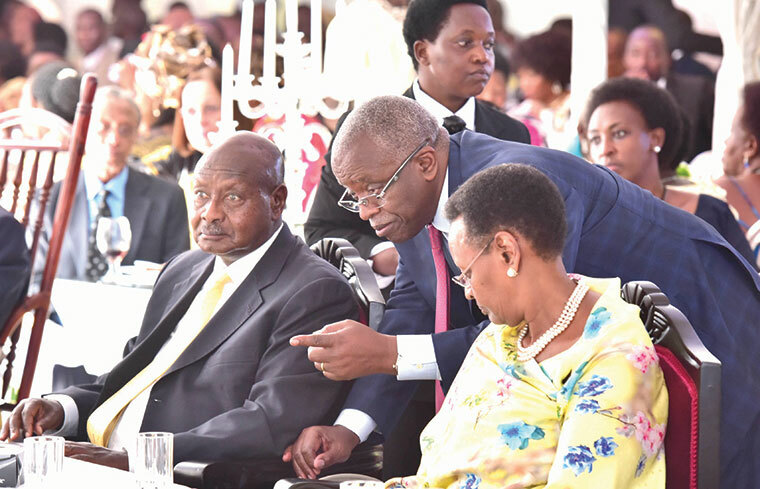 Museveni was among the guests at the highly billed ceremony last Saturday, August 4 at Mbabazi’s Kampala residence in leafy and upscale Kololo. He arrived with his wife, Janet at about 1:30pm and sat through the function till 10pm when it ended. Uganda’s president sat at the same table with the Mbabazis, facing the in-laws. Little interaction was seen between Museveni and Mbabazi although the former premier frequently exchanged pleasantries with Janet. Museveni and Mbabazi fell out in 2014 after the former premier developed presidential ambitions. To head him off, ruling party MPs were whipped into passing a resolution declaring Museveni as NRM’s sole presidential candidate for the 2016 elections. This was during a retreat at the National Leadership Institute in Kyankwanzi. Later in the year, Mbabazi was sacked as prime minister and one year after, he was ultimately kicked out of government, ousted from the powerful position of NRM secretary general. The party constitution was quickly amended, placing the powers to appoint the secretariat leadership in the chairman’s (Museveni) hands. Previously, the secretary general was elected at an NRM delegates’ conference. Mbabazi still went on to run for president as an independent but finished a distant third. He lodged an unsuccessful petition in the Supreme court contesting the 2016 election results before retreating from public life. But now, knowledgeable sources say Mbabazi’s skills as an able administrator, accomplished workaholic bureaucrat and effective political operator are sorely missed by Museveni. Was Amuriat pushed to fire Muntu loyalists? Last Friday, Forum for Democratic Change party president, Patrick Oboi Amuriat shuffled leadership of committees held by the opposition in parliament, knocking out those who never supported him during the November 2017 presidency race. But the decision to purge was made before he became party president, as SULAIMAN KAKAIRE writes. During the 2017 race, the pro-defiance FDC faction led by Dr Kizza Besigye was concerned that Amuriat and Mubarak Munyagwa running separate campaigns could divide their support and favour the then incumbent party leader, Maj Gen Gregory Mugisha Muntu. 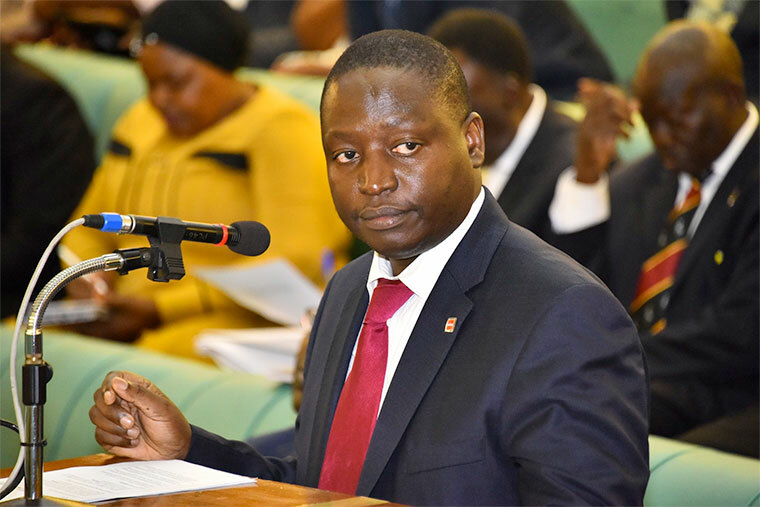 Party sources say that the deal had a caveat: Amuriat promised to make Munyagwa opposition chief whip in parliament, replacing Muntu loyalist and Kira municipality MP, Ibrahim Ssemujju Nganda, among a string of changes. After Amuriat won, the sharing was expected as promised but this had to wait until last week. Their rival, Muntu, who had been defeated by 200 votes, despite being backed by 27 FDC MPs, had embarked on countrywide consultations. Muntu was asking how his group would work within the FDC party where they have been slandered as moles and non-Ugandans? How is the party going to reconcile the defiance strategy with the strategy of exhibiting democratic credentials before taking power? And, what is the position of FDC founding president, Besigye in the party? 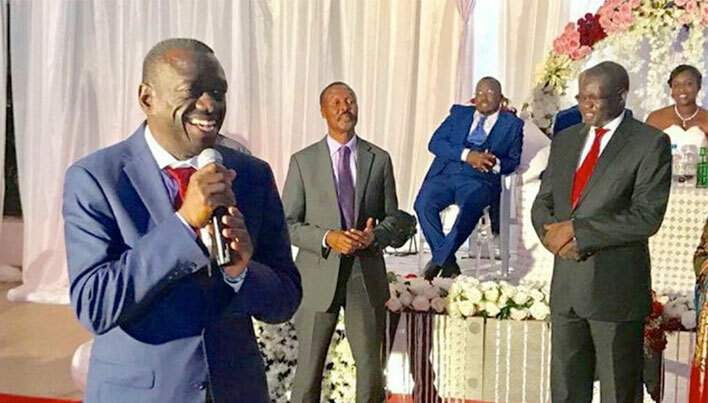 Besigye’s continued domineering presence bothers some of the Muntu group, who argue that if left uncontrolled it can be counterproductive to FDC’s internal democracy and potentially grooms dictatorship in the opposition. After Muntu concluded the first round of consultations and some senior members were pushing for a split, Besigye initiated a meeting with Muntu and some senior members of his group, including Ronald Reagan Okumu (Aswa MP), who is FDC deputy president for Northern Uganda. Muntu confirmed the said meeting that happened around March. For fear of what the Muntu group was planning, Besigye advised Amuriat against shaking things up in parliament. As they watched for Muntu’s next move, they also continued to assess possible choices. William Nzoghu was considered for the LoP position but he turned it down for fear of being castigated back home in Kasese by FDC supporters amongst whom Kiiza enjoys considerable support. Buhweju county MP Francis Mwijukye was tapped next but he was dropped in favour of Gulu Municipality MP, Betty Aol Achan. Munyagwa turned down the chief whip post for fear of antagonising Muslims in Buganda amongst whom Ssemujju enjoys favourable reviews. He was considered for COSASE. Each of the MPs was reportedly contributing between Shs 1 to Shs 2 million every month towards Muntu’s activities. Around May, this information leaked to the Besigye faction. It was also revealed that the Muntu group was closely working with the individuals leading the Democratic Party’s reunion and providing solidarity to Kyadondo East MP, Robert Kyagulanyi’s countrywide tours. The DP’s reunion has considerably undermined Besigye’s wow factor in the wider opposition. Buwembo, who is an insider within the Besigye group, said these concerns were considered last week. “On Thursday, there was a demonstration after a team from nowhere came and refused members from leaving the party offices. They locked us from outside. Even, the party chairman who was supposed to meet a doctor was refused from leaving before they could sort out their demands,” he said. According to Buwembo, this group stormed the party headquarters in Najjanankumbi after Amuriat again delayed announcing the changes in parliament. However, when the matter was not considered in the Wednesday and Thursday NEC meetings, the youths stormed the party offices on Thursday. Consequently, on Thursday night Amuriat called up some of the individuals that were to take the positions. Among them was Ssemujju. Ssemujju was reportedly reconsidered for two reasons. “One, he is the party spokesperson who had to communicate this decision or explain it to the public and if he is fired, it would be difficult to explain some of these things. In fact, some people said he would put everything about our move in the media. Secondly, having him in would be a counter balance of criticism from the Ssuubi group [a loose coalition of Buganda politicians including Medard Sseggona Lubega (Busiiro East), Muwanga Kivumbi (Butambala)and Mathias Mpuuga (Masaka municipality)],” FDC defiance faction sources said. At first Ssemujju, turned down the offer to retain his chief whip post on grounds that he will not be comfortable working with people he does not agree with. Secondly, he does not believe in working with colleagues who will feel they are being undermined by him. Amuriat, however, persuaded Ssemujju saying he sees him as the loop that will strengthen the new team since most of his choices were newcomers or weak. When contacted , Ssemujju refused to comment. “I can’t comment about that, please. Call the party president. I was called like anyone else,” Ssemujju said. When the NEC was summoned on Friday evening, only the LoP position was discussed. Abed Nasser Mudiobole, the FDC secretary for legal affairs, said “the discussion was only on the name proposed for leader of opposition. There was concern raised that why would you appoint someone from Acholi yet it has ever had that position and why not some other region,” Mudiobole said. “I am appointing people who have been loyal to the party and these people have been despising me,” he said. Some concerns were voiced that if this was the basis for changing the leadership, then Amuriat would be personalising the party or victimising people. While announcing the changes on Friday, the FDC leader told the media that his changes were made so as to realign the parliament leadership with the defiance strategy. However, Mudiobole says that even if that is the case, everything must be done in accordance with the party constitution and practice. “There was no minute or resolution made, contrary to the ideal way of doing things. Everything was rushed through NEC. The party constitution and practice has always been that a name or individuals are proposed, then they are debated by NEC because the practice is that the president appoints with the approval of NEC. If NEC is not allowed to debate or discuss the president’s appointments or proposal, then NEC, which is ideally meant to be a check and balance on the president’s powers, is being reduced to a mere rubberstamp,” Mudiobole said. “There is also the issue of accusations being raised against some people. It is also fair to have them heard on those accusations before you turn the party organs into a jungle. Ideally, practice should be that you inform them about it and let them be heard about it. “And this is not that people are meant to serve forever in whichever position, but let’s make sure that we follow the right processes and procedures because that is what distinguishes us from the crowd of other parties,” Mudiobole said. On Monday, Kiiza told the media that she had learned of her firing from press reports. Former COSASE chairman, Abdu Katuntu confirmed Amuriat’s line that this reshuffle was a purge. “This is about purging those who don’t agree with the way things are being done. You cannot victimise one for holding a view contrary to yours. They formed this view since last year; that they will be sacking those who don’t agree with them,” Katuntu said. On Monday, Muntu told like-thinking FDC members in Iganga that whatever decision they make must be made in a mature way. “We have to be patient about this. From the 17 consultations that have been carried out across the country, there are voices that are saying we should leave and form a party of people who believe in the values we espouse. There are others saying that the issues we are raising can be resolved from within. To reach a good decision the results of the findings will be tabled before the party before a final decision, is made,” he said. Jinja Municipality East MP Paul Mwiru, Muntu ally, told The Observer that the continuous victimisation of their group is pushing them to one end point. “These people are showing us that our differences are irreconcilable. And some of us don’t believe in wasting time in a political formation without playing any role, which our colleagues want us to do. It is better to form another formation after all we have the same ultimate result of changing government, although we also believe in changing governance,” he said. Whatever the outcome, the Muntu group seems to have gravitated towards Kyagulanyi’s (Bobi Wine) so-called ‘third way’. When the break comes, those in the know say, it will be triggered a year to the elections to avoid the MPs having to lose their seats on account of the law on changing political alliances midterm. The group has close to 60 MPs, including some in the NRM. “In the end, it’s not the years in your life that count. It’s the life in your years,” this is one of the memorable quotes on life attributed to Abraham Lincoln, the 16th President of the United States. Such talk about a life well lived characterised the eulogies of celebrated public relations guru and cricketer, Yona Namawa Wapakhabulo, whose remains were laid to rest at his ancestral home at Mafudu Village in the eastern district of Sironko yesterday. Namawa, son of former Speaker of Parliament and minister, the late James Wapakhabulo, passed on at Platinum Medical Centre in Kampala on the Monday evening. From the time news of his death hit the streets of Kampala, different people have described his life as a short but well lived one. At the vigil at Machame Health Club, Naguru on Thursday evening and at the funeral service at All Saints Cathedral, Nakasero on Friday, Namawa was described as a “a mentor, great listener and team player”. At 46 and still rising in his fields of endeavour, this was certainly the wrong time for Namawa to die. We say this even when we know there is in most cases no good time to die. Dr Josephine Wapakhabulo, the chief executive officer of the Uganda National Oil Company, said her brother succumbed to Infective Endocarditis, a bacterial infection that affected his heart. One of those hurt by the early demise of Namawa is President Museveni, who told mourners during the funeral service at All Saints Cathedral, Nakasero to stop describing such death of young people as a decision by God. “This business of saying God has called him or her at 46 like Yona is not good. Is God short of company or what?” the President quipped, forcing the mourners to burst into laughter. The President, accompanied by First Lady Janet Kataha Museveni, re-echoed his message to Ugandans to always have routine medical check-ups so that they are not killed by preventable diseases. Mr Museveni said he was told by Wapakhabulo family that the deceased had had a bacterial infection for some time, beginning from his tooth and ended up spreading to the heart through the throat. “Our people should be conscious about health and I feel that God should call people for a good purpose. So, stop self-medication and go for regular medical check-ups,” Mr Museveni said. The President, who narrated to the mourners the best school moments he had with the late James Wapakhabulo, promised support to Namawa’s widow, Ms Dorothy Nasozi, and the five orphans. Namawa’s colleagues at WMC Africa Limited where he was a managing partner, said they have lost a person whose special leadership qualities have nurtured them into responsible people, promising to keep the agency strong in his absence. “Yona was a mentor and a colleague who gave us freedom to dream and fly in our roles. He was quiet and hard in action. He never yelled at anyone even if you left his office door open, he could raise and close it. He had a gift to identify and nurture talent because he was a great leader who allowed us to challenge him,” said Ms Primrose Kiberu the company’s chief operations officer. The widow, Ms Nasozi described her departed husband as a God fearing person who was Born Again and humbled himself before the creator despite his education and background. Ms Nasozi describe their nine years of official marriage as “good times” despite challenges they have passed through in making a family. “It has not been an easy time for me but I am Born Again, so I praise God for my husband’s life. He’s been an exceptional man, a prayer warrior and loved the Lord with all his education and background. I have the hope to meet him because he is with the Lord now,” a smiling Ms Nasozi said. The orphans led by Mr Myles Mukisa Wapakhabulo praised their father as one “who you would call when you don’t have something and it is there”. He said as children they have not cried because they have a reason to celebrate the life of their loving father who every Saturday found time to take them out to play and eat foods of their choice. Rev Can Geoffrey Byarugaba called upon the mourners to always do perfectly to the expectation of God who created man in his image and gave him dominion over nature. He said people should have a choice of whether their next lives will be in the Kingdom of God or hell. While at the night vigil at Machame Health Club, Naguru on Thursday, Prime Minister Ruhakana Rugunda confessed to the mourners that the WMC Africa team that worked with Namawa was “unbelievable” after they said he had tuned them to be good time keepers by being in office by 7am. “What kind of transformation is this for such young people to be in office at 7am? The earliest I reach office is 9am and for sure, I will go to them for timekeeping lessons,” Dr Rugunda said. Led by Dr John Kimbe, the alumni of King’s College Buddo who went to school with the deceased handed the famous school neck tie to the widow saying, Buddonians as they are known, never leave their own behind. Born on January 8, 1972, Yona Namawa Wapakhabulo went to Arusha School, Boroko East Primary School, Port Moresby High School, Kings College Budo, Makerere College School and Viterbo University, Wisconsin in USA. A specialist in corporate communications, public affairs and crisis communications, Namawa joined WMC Africa Ltd in 2003 as the public affairs manager and rose to managing partner. He worked on key strategic initiatives in Uganda and across the region in both the public and private sector for clients such as e Bill and Melinda Gates Foundation, Stanbic Bank Uganda, MultiChoice Uganda, MTN Uganda, DFCU Bank, Heritage Oil Ltd, Tullow Uganda, British Airways, Umeme. “We have the issue of Temangalo land...one of the people being mentioned is former Prime Minister Amama Mbabazi; a lot of things were being written about Amama not putting in mind that he is hosting a very important in-law, a president of another country,” the minister said. Government has tabled a Shs 1.2 trillion loan request for the municipal infrastructure development program. Finance Minister Matia Kasaija has said he is not content with the newly acquired non-intrusive scanners deployed by Uganda Revenue Authority as part of the tax agency’s continuing efforts to combat smuggling and other forms of import tax evasion. Smuggling, concealing and under-declaration of goods have long occupied minds at URA, leading to the acquisition and installment of non-intrusive inspection (scanners) technology at Malaba and Busia border posts. The minster who spoke at the launch of the scanners at Busia One-Stop Border Post (OSBP) said he wants scanners that have no human interface. “I’m not satisfied with this system; I want a system that is not human, where people cannot be compromised. That is how we can maximise revenue; we have lost a lot due to wrong declaration,” he said. The new X-ray scanners, according to the manufacturers, will be manned by at least two people. Similar equipment will be bought and set up at other entry points, Kasaija said. It will now take between one and three minutes to inspect a truck, a much shorter timespan compared to the laborious and very slow manual inspection which has been holding up goods at entry points. Dicksons Kateshumbwa, URA’s commissioner for customs, said the Malaba and Busia scanners cost Shs 15 billion and have aided the detection of concealed cargo, leading to the recovery of at least Shs 7 billion last year alone. 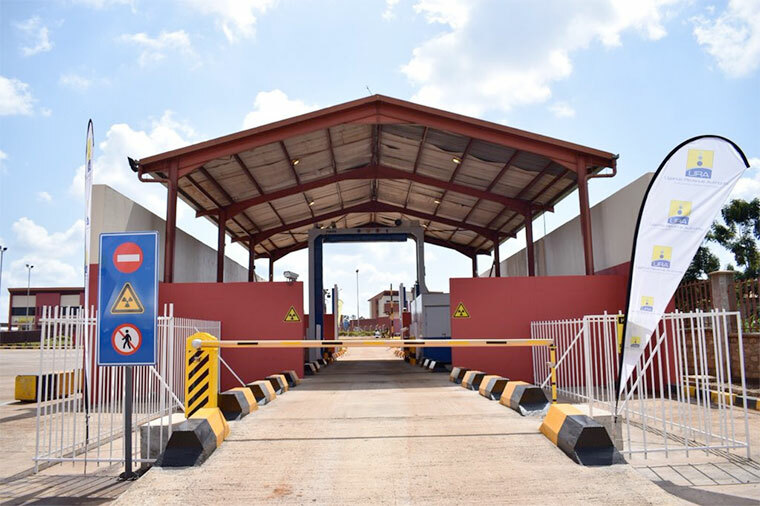 “With the introduction of scanners at the Busia border, last financial year total recovery made was Shs 7bn and in FY2016/17 URA recovered Shs 4bn,” he said. He added that the scanners were necessitated by the increase in trade volumes and traffic flow across Uganda-Kenya borders. Official data at URA show Busia OSBP is the second busiest entry point. Import trade volumes through Busia grew at an average of 10 per cent over the last three years (2015-2017), while exports grew at an average of 12 per cent in the same period. Total traffic through Busia for FY 2017/18 for various categories of vehicles was 99,650, representing a 23 per cent increase. While traffic outflow for 2017/18 period was 74,889 vehicles, representing a 39 per cent increase in comparison to FY 2016/17 traffic outflow of 45,118. “FY 2016/17 had traffic inflow of 77,076 vehicles,” Kateshumbwa said. URA also said that in addition, there are supply chain security concerns such as terrorism, advances in IT aiding sophisticated commercial fraud and smuggling that need to be detected and deterred within URA’s limited human and financial resources. “This has created a need to innovate and transform systems and procedures to meet international trade requirements; harmonising processes so as to balance the demands for trade facilitation with enforcement of compliance for better service delivery,” Kateshumbwa explained.